Version 1.03 -- rough draft ~05/2014; prior to Multirole category. I have deliberately widened the tolerance for acceptable alternates simply because there are not many options available. 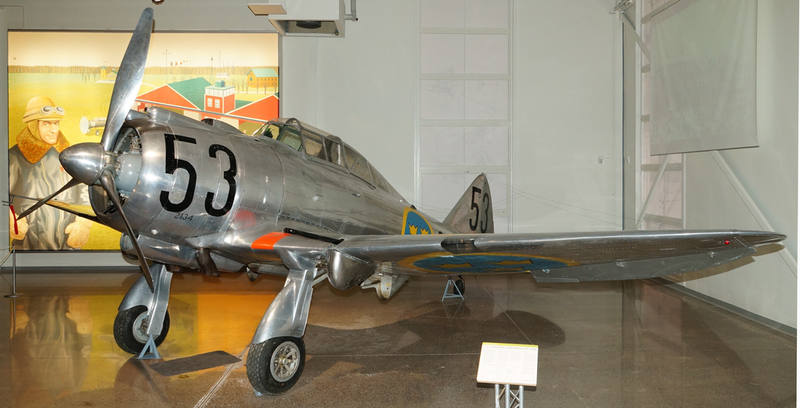 The list includes projects that did not make it to production (highlighted), aircraft that were ordered but never delivered (Vultee, Fokker), and aircraft that were assembled in Sweden and flown by Swedish pilots for the mutual defense of Finland. The highlighted colors are to help with identification of projects that don't have much information (see work in progress below). L 11 (1938): Saab B/T 18 -- this is the project submitted by ASJA (Bror Bjurströmer) that competed against the Gotaverken (Bo Lundberg) proposal and Saab (Alfred Gassner) proposal; ASJA and Saab merged early 1939; the ASJA project was modified and a first prototype was ordered in November 1939 designated Saab 18A; second prototype ordered February 1940. (Andersson, 66). First prototype flown June 19, 1942; second prototype flown soon after; both powered by Twin Wasp engines (Andresson, 68). Order placed for production of B 18A July 31 1942 (Andersson, 68). This is the Saab 18. L 13 (1939): What became the Saab 21, later during development called L 21. This is the Saab 21. P 2 – Focke Wulf Fw 44J Stieglitz. Redesignated Sk 12. See chapter Trainer Aircraft. P 3 – Sparmann E 4. Fighter aircraft, reminding of the German “Stuka”. Only a mock-up built. Cancelled in 1937. P 4 – Fiesler Fi 156K-1 Storch. Redesignated S 14. P 5 – Handley Page Hampden. P 6 – Focke Wulf Fw 58 “Weihe”. P 7A – Prototype for SAAB B 17A. 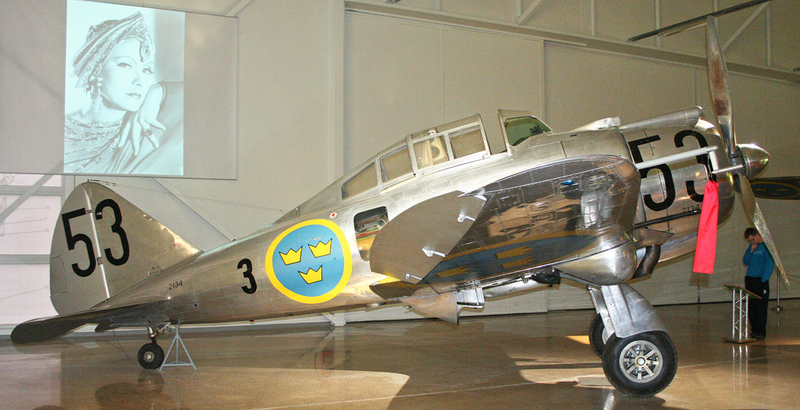 P 7B – Prototype for SAAB B 17B. P 8 – Prototype for SAAB B 18. P 8A – AFF/ASJA G 1. Twin-engine medium bomber. Cancelled in 1939. P 8B – Götaverken GP 8. Twin-engine medium bomber. Reminding of Dornier Do 17. Cancelled in 1939. 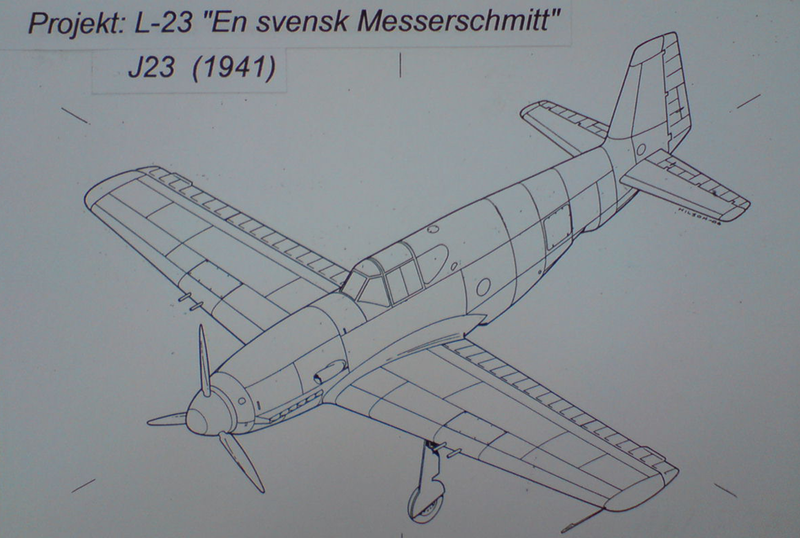 P 9A – SAAB L 12. Fighter of conventional type. Cancelled in 1939. Also known as P 19/J 19, a.k.a. Saab 19. P 9B – Götaverken GP 9. Fighter of conventional type. Cancelled in 1939. -- developed by Edmund Sparmann on contract for the Swedish Air Force between 1934 and 1937; canceled 1937; Sparmann's company purchased by Saab at the request of the government in 1937 (Andersson, 14). P 9B -- Götaverken GP 9. With that information it would be possible to bypass licensed production of foreign aircraft completely. -- the fighter line is complete, made possible by licensed production; otherwise, there are several unrealized projects in the Tier III-IV region that might be usable. -- a secondary line could be added from Tier II-VI if dive bombers are ever to be included (Hawker Hart, Saab 17, Saab 18). A completely dedicated "attack" or "heavy" line is not possible. -- an honorable mention should be made for the Swedish bombsight development which rendered traditional dive bombing tactics obsolete. 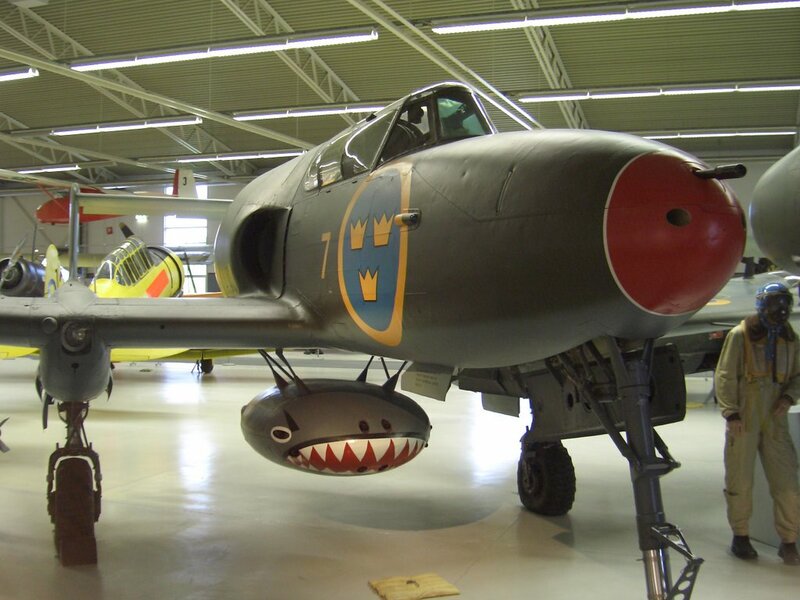 It was retroactively fitted on all Swedish bomber/attack aircraft. 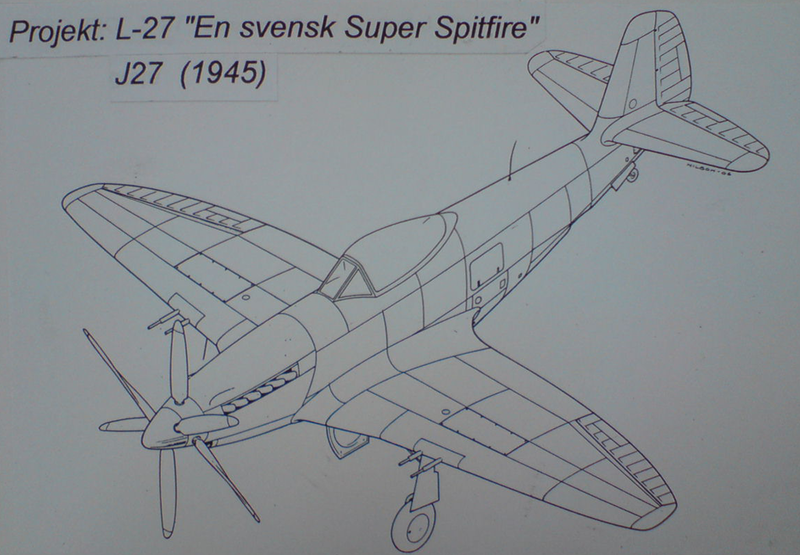 -- a mockup was produced, pictures were taken, and approximately 19 drawings were made; this information comes from a record of correspondence between Sparmann and the Swedish Air Board that has been established by the Swedish Air Force Museum in Linköping. -- the photos and drawings are expected to reside at the Military Archives in Stockholm. Edited by J311yfish, 09 October 2018 - 01:50 AM. Edited by J311yfish, 30 May 2018 - 05:38 PM. Edited by J311yfish, 30 May 2018 - 05:41 PM. 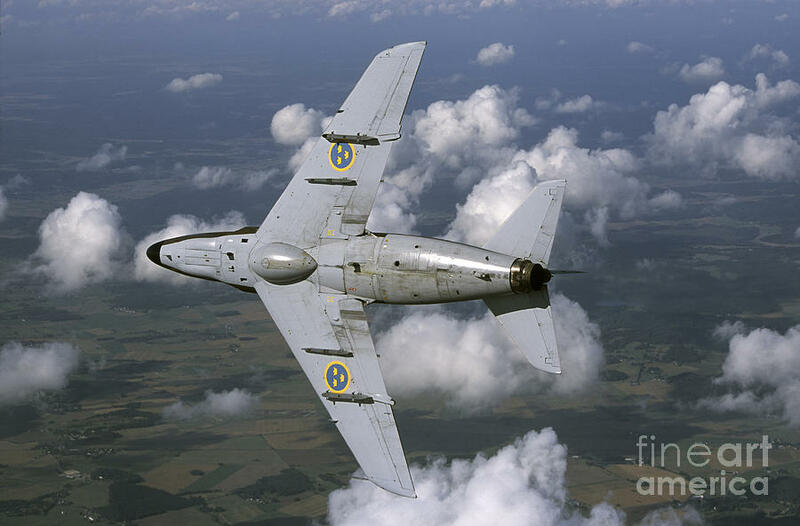 -- After the license agreement for Northrop 8A-1, and engulfing of Northrop by Douglas, American engineers obtained employment in Sweden and provided the technical foundation for what would become Saab. They did this by helping to build the Northrop 8A-1 and helping to develop the Saab 17. Edited by J311yfish, 30 May 2018 - 05:46 PM. *up to 700kg of various sizes (50-500kg); internal bomb-bay able to equip 1x250kg or 8x60kg; also equippable with rockets. Edited by J311yfish, 30 May 2018 - 05:48 PM. -- The last propeller-driven military aircraft used by the Swedish Air Force [remained in service even after conversion of J 21 to jet power]. -- site here claims the 57mm Bofors cannon was instead designated m/47 (confirm). Edited by J311yfish, 30 May 2018 - 05:53 PM. -- see progression from Tier V.
-- Prior to modifying the Saab 18 to use the newly acquired Daimler Benz DB605B, a an extensive design study was made (Saab 24 -- drawing, wind tunnel model) in which it was estimated that a top speed of 630 km/h could be obtained (a 30 km/h improvement). It was determined to not be worthwhile and the project was cancelled 12/1943. The Saab 18 flew with DB605B's six months later. Unverified details. Edited by J311yfish, 05 July 2015 - 01:33 PM. The Ghost engine is also used by the De Havilland DH.100 Vampire in U.K., first flown 09/1943 (3.5 years earlier prior to J 21R). -- 10 rockets (15cm and 18cm, many combinations). -- the Vampire is faster, yet Saab 21 has heavier armament. Edited by J311yfish, 30 May 2018 - 06:45 PM. Data: Widfeldt (first), Andersson (added details); some disagreement on production numbers/dates. Andersson claims 1035 km/h for A/B/C/E. The Ghost engine is also used by the De Havilland DH.112 Venom in U.K., first flown 09/1949 (a year after the Saab J 29). -- claim: 4x20mm Hispano Mk.V (source) [this is the same configuration found on the Westland P.1056 and Gloster P.228 in-game]. Data: Andersson, Annerfalk. ^ 447 total produced of all types. * initial rate of climb 60 m/s. ** initial rate of climb 100 m/s. The Rolls-Royce Avon is also used in the Supermarine Swift for U.K..
-- website here with sources listed claims that A 32A was armed with 4x20mm m/49 Bofors cannons; other sources claim 4x20mm Hispano. It may be that Bofors produced Hispano 20mm cannons under license (confirm). -- such as J 32AD considered prior to purchase of Hawker Hunter and Saab 35 Draken development -- not much information, see here. 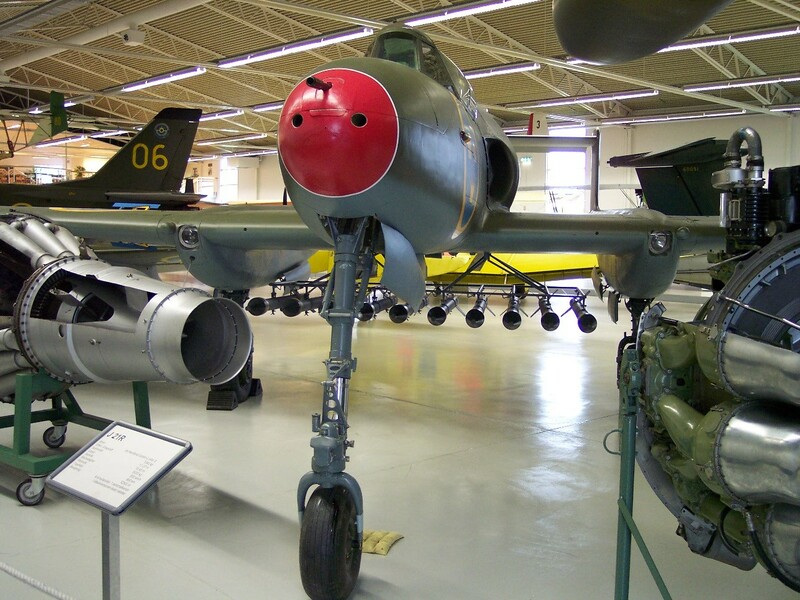 -- Saab 32 was developed first as a strike fighter, then was adapted for reconnaissance, then as an all-weather interceptor. It was to rely on a Swedish-designed turbojet until it became more cost efficient to build the Rolls Royce Avon under license. The Rolls Royce Avon is currently in the game for the Supermarine Swift at Tier X.
Edited by J311yfish, 30 May 2018 - 06:44 PM. This timeline is to provide a comprehensive view of events related to the cancellation of American fighters; the order of Italian fighters to replace them; the creation of the J 22 as a stopgap fighter; as well as to determine the end-point for Tier X jet development. Sources for these dates are not necessarily accounted for below (just to keep it clean/simple) but can be found elsewhere in this thread under relevant entries. 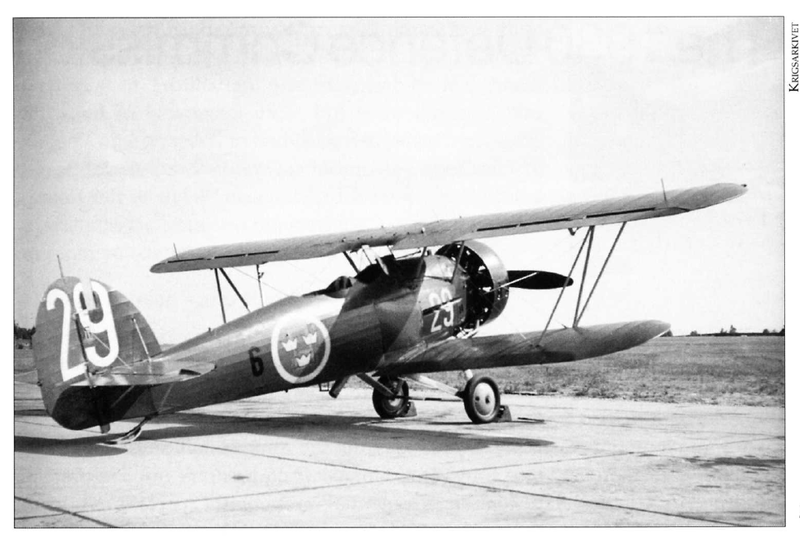 03/__/1929 -- Svenksa Aero Jaktfalken design began March 1929 as a private venture. 02/08/1937 -- North American sells a NA-31 (NA-16-4M) to Sweden with license for manufacture (NA's first sale to a foreign country). 03/16/1937 -- Fokker G.I prototype first flight in Netherlands [twin-boom configuration like later Saab 21]. 04/22/1938 -- Northrop 8A-1 prototype 1 shipped to Sweden (pre-built). 05/__/1938 -- ASJA hires no fewer than 46 American designers and stress specialists, mostly from Douglas companies (1938-1939). 05/23/1938 -- Fiat CR.42 first flight in Italy ("conceptually obsolete"). 05/25/1938 -- Air Force orders maps to be made of neighboring countries. 08/08/1938 -- Northrop 8A-1 prototype 2 shipped to Sweden (in pieces). 09/03/1938 -- Fokker G.I flown with Twin Wasp engine [also planned initially for Saab 21]. 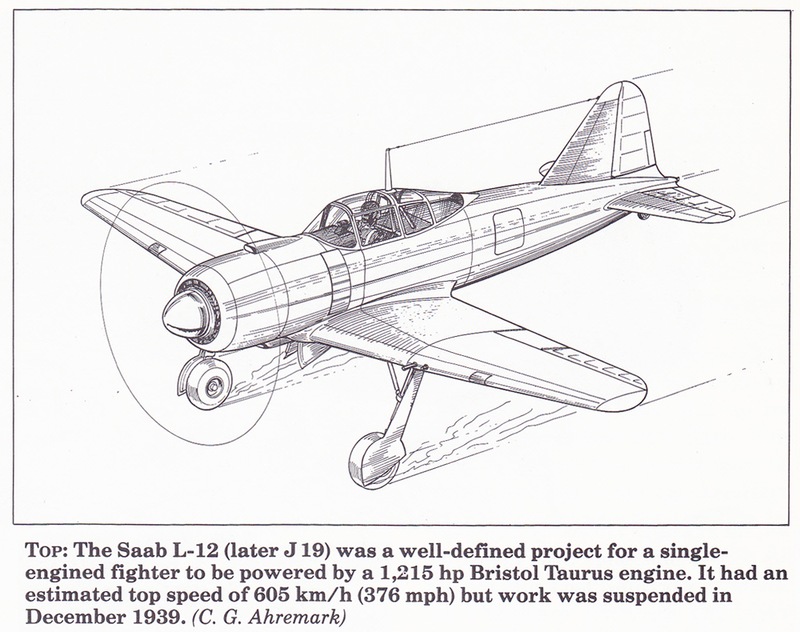 11/29/1938 -- Saab 17 project began (L-10); two prototypes ordered. 01/__/1939 -- Bo Lundberg joins Götaverken (GV) as chief designer; forms new company AB Flygplanverken (AFV). [eventually goes to work for Vultee]. 04/24/1939 -- At this time Sweden has 106 front-line aircraft available [in various states of repair]: 30x Junkers Ju 86 (B 3); 14x Hansa (S 5); 3x Hawker Osprey (S 9); 19x Fokker CV-E (S 6B); 23x Hawker Hart (B 4); 34x Gloster Gladiator (J 8 and J8A). 05/24/1939 -- Reggiane Re.2000 first flight in Italy. 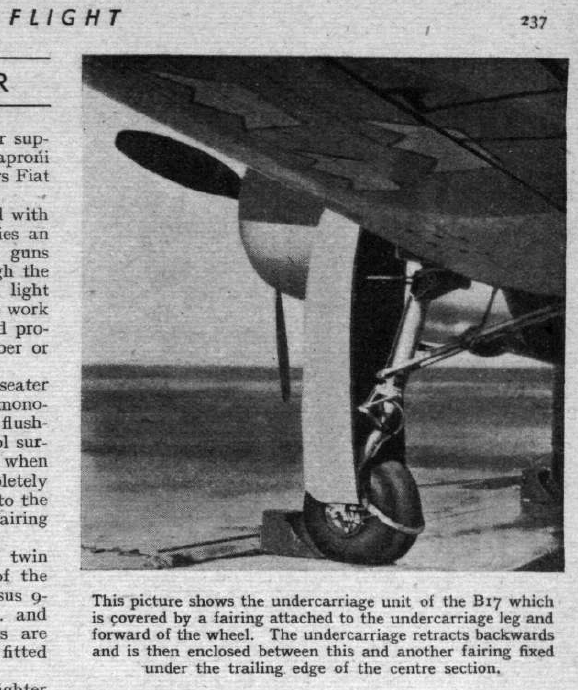 07/01/1939 -- F 6 light bomber wing was to have been equipped with the new Seversky 2P-A (B 6), but due to delays/cancellation remained only with Hawker Harts (B 4) [by 07/1940]. 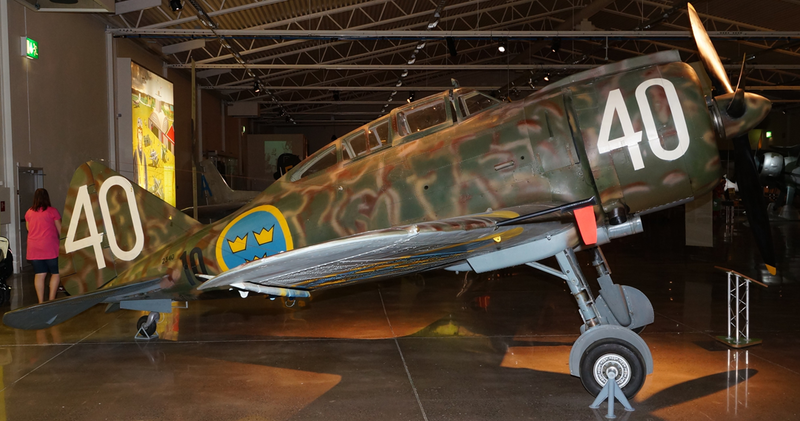 08/__/1939 -- Sweden begins flying long-range reconnaissance missions using 4 (obsolete) Junkers Ju 86 (B 3) bombers. 08/23/1939 -- Soviet Union and Germany sign non-aggression pact. 09/01/1939 -- Germany invades Poland. 09/03/1939 -- Britain and France declare war on Germany; Sweden declares a state of "enhanced preparedness for the armed forces." 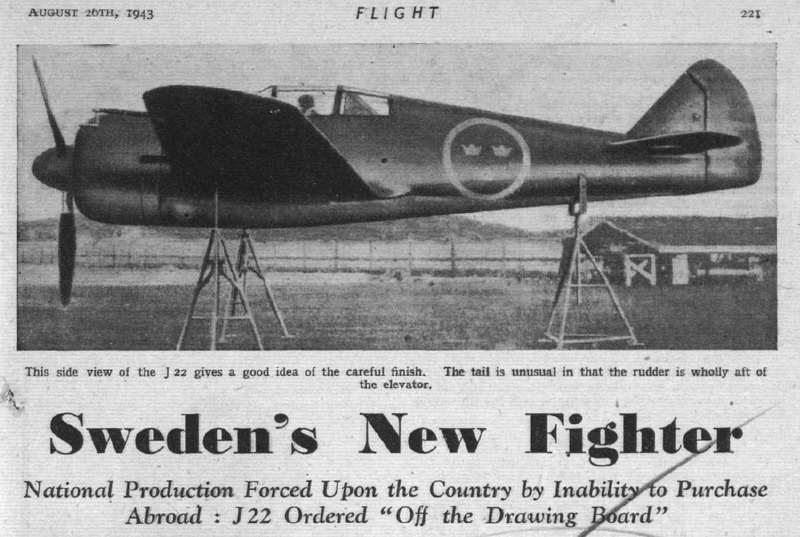 10/06/1939 -- Swedish government approves 10-year policy agreement effectively giving Saab a monopoly on aircraft development in Sweden. 11/__/1939 -- Saab 18 prototype ordered. 11/30/1939 -- Soviet Union attacks Finland and invades three Baltic States. 12/01/1939 -- auxiliary flying school established for the rapid training of volunteer pilots (for already-trained private and commercial pilots). 12/08/1939 -- Sweden offers aircraft as a gift for the defense of Finland -- 3x Jaktfalken (J 6), 2x Bristol Bulldogs (J 7), 3x Fokker CV (S 6). 12/14/1939 -- Swedish government gives formal approval for the F 19 volunteer wing to fight in Finland, to be commanded by Major Hugo Beckhammar. 12/30/1939 -- F 19 volunteer wing personnel assemble in Torneå, Finland. 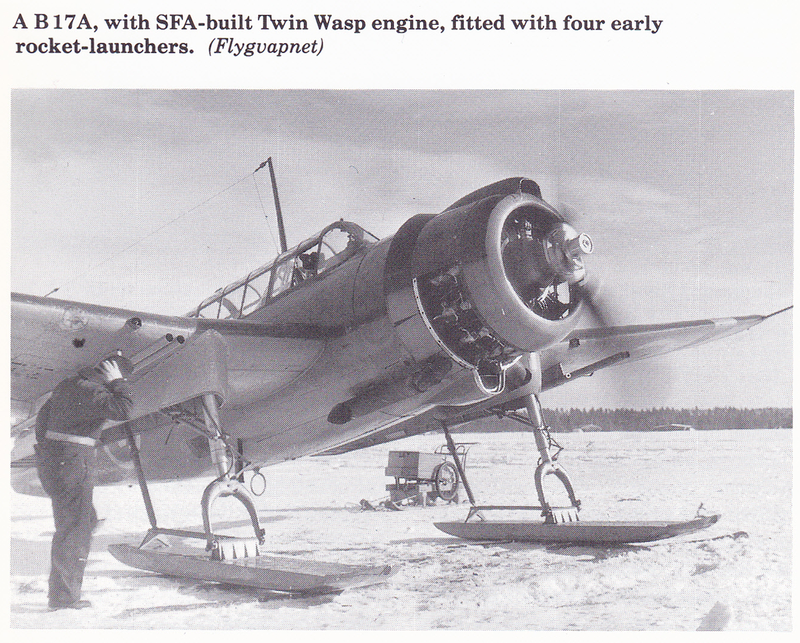 12/__/1939 -- Saab 19 project (L-12 to be J 19) suspended, AFV GP 9 suspended. 01/__/1940 -- Gloster Gladiator assembled at Malmslätt, Sweden, for the defense of Finland; a second auxiliary flying school established for the rapid training of volunteer pilots (from scratch) [trainers used: Focke-Wulf Fw 44 Stieglitz as primary trainer, North American NA-16 as advanced trainer]. 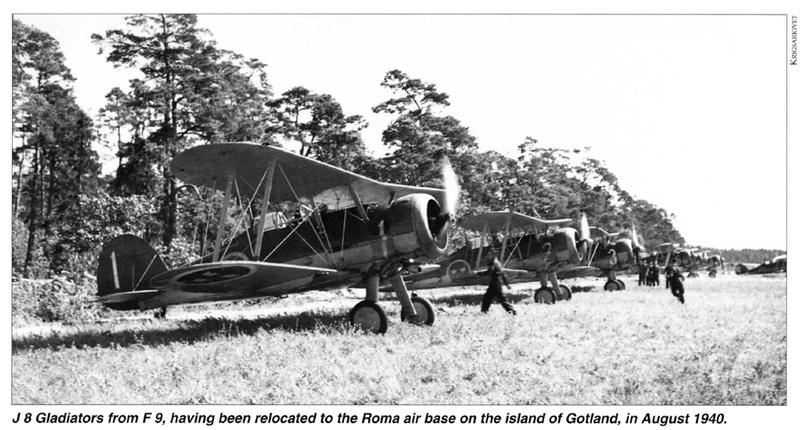 01/10/1940 -- F 19 volunteer wing aircraft from Sweden arrive in Finland. 01/12/1940 -- F 19 volunteer wing [flying Gladiators and Harts] encounters Soviet I-15 fighters while on planned reconnaissance and ground attack mission between Lake Kemijärvi and the Soviet border. 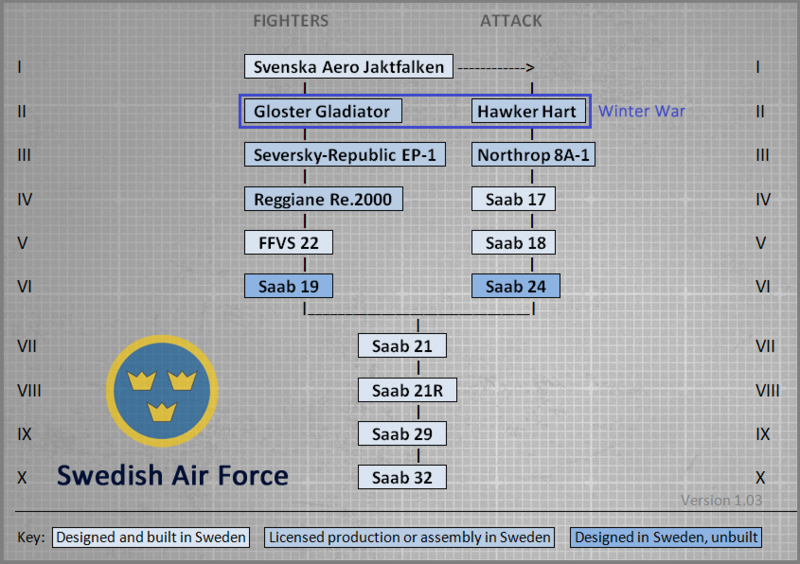 02/__/1940 -- Swedish government authorizes establishment of two additional fighter wings, for a total of three; [emphasis to this point still strongly in favor of 'strategic' bombers and reconnaissance aircraft, ~4:1 over fighters]. 02/15/1940 -- Fiat CR.42 first order for 5. 02/24/1940 -- Fiat CR.42 second order for 7. 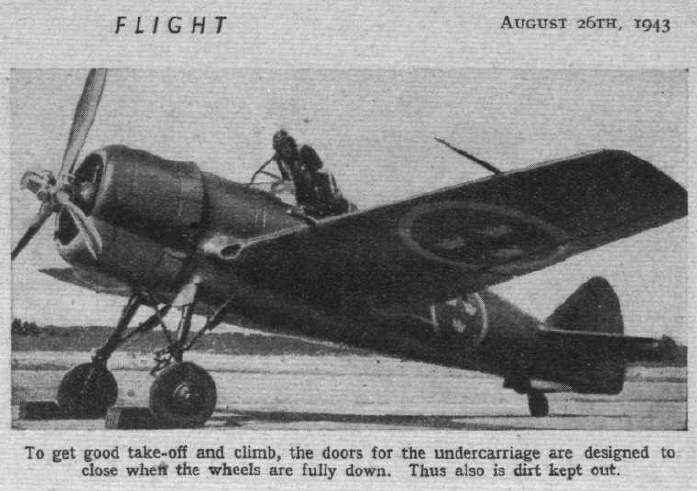 03/13/1940 -- Fiat CR.42 donated to aid Finland, Finland says no thanks, Sweden keeps them (5); F 19 volunteer unit disbanded after 62 days. 03/30/1940 -- Fokker G.I ordered by Sweden (18), none delivered by 05/10/1940. 04/09/1940 -- Germany attacks Denmark and Norway; Denmark occupied within 12 hours; Norway occupied within 8 weeks. 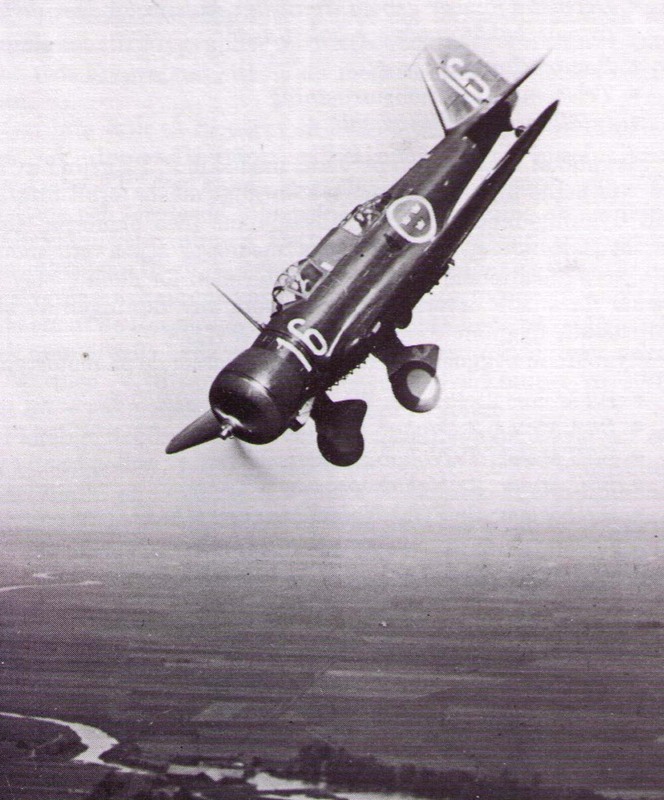 04/27/1940 -- Fiat CR.42 delivered to F 3 flown by Swedish pilots (5). 05/10/1940 -- Fokker G.I production terminated in Netherlands; none delivered to Sweden. 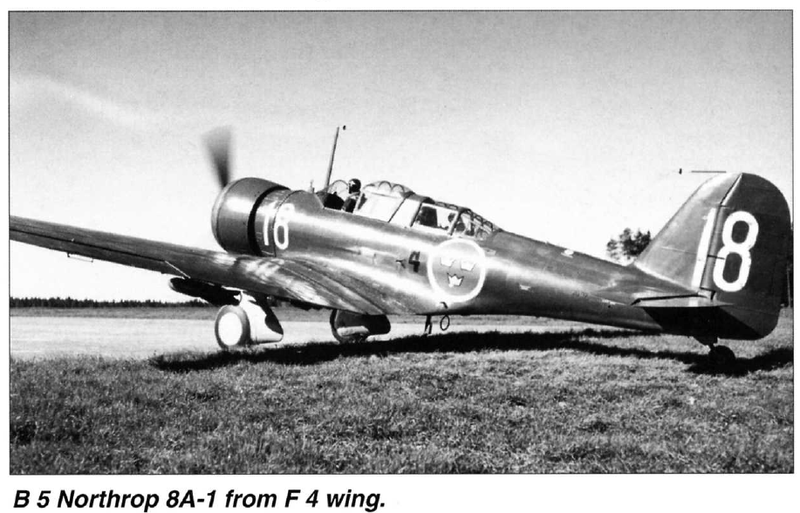 05/18/1940 -- Saab 17 first flight. 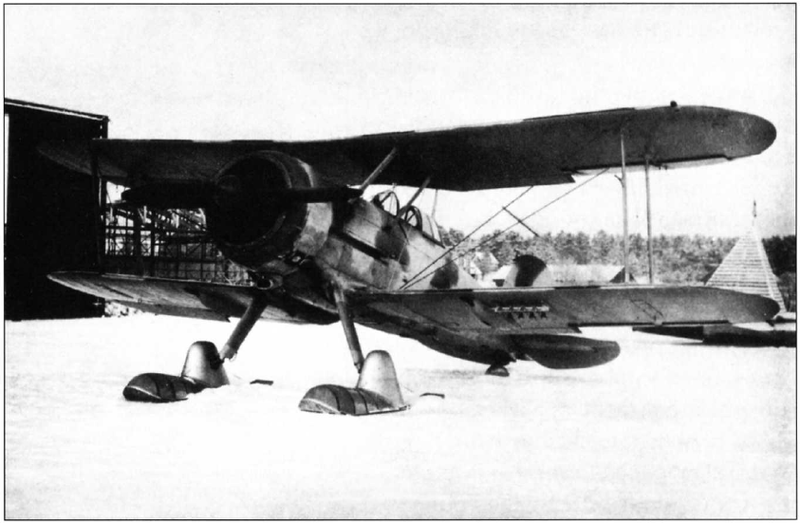 06/__/1940 -- Fiat CR.42 delivered to Petsamo in northern Finland (7). 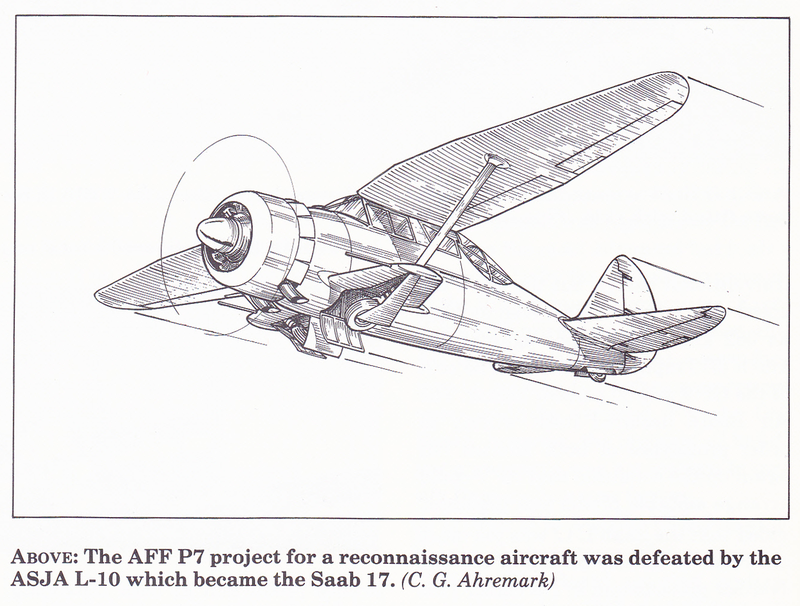 06/__/1940 -- Saab 18 development resumes after interruption due to start of war (allocation of resources was to Saab 17). 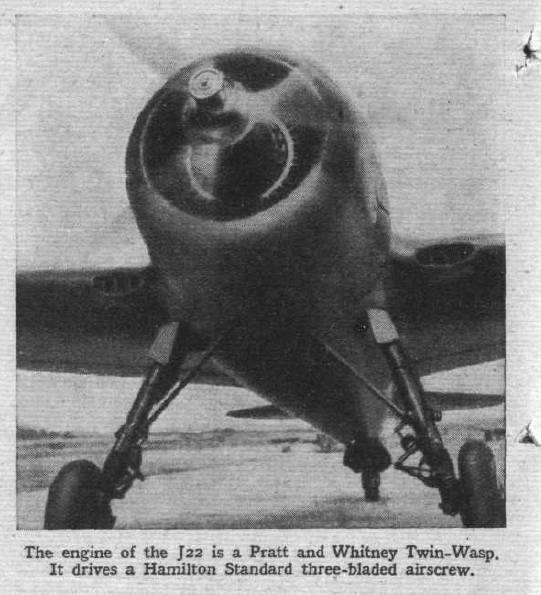 07/02/1940 -- United States places an export prohibition on aircraft ordered by Sweden (120 Seversky-Republic EP-1 plus license to manufacture; 52 Seversky-Republic 2 P-A light bombers; 550 Pratt & Whitney Twin Wasp engines; ammuntion, machine tools, etc.). 08/__/1940 -- Caproni Ca.313 order for 54. 08/08/1940 -- Supreme Commander receives permissino to establish five new Wings (15 Squadrons) in addition to the nine Wings already existing. 10/10/1940 -- United States law enforcing confiscation of war material; only 60 EP-1's and two 2 P-A's actually arrive in Sweden. 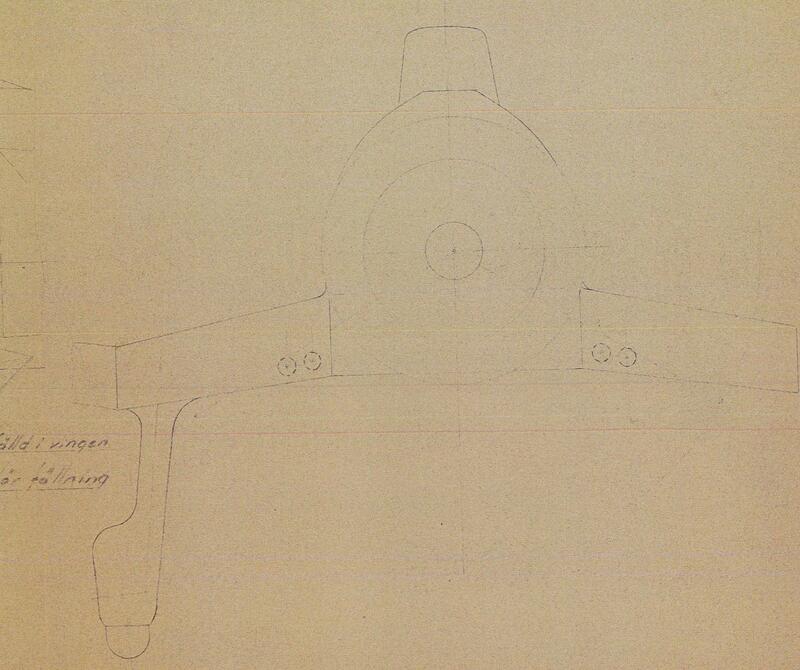 10/__/1940 -- FFVS J 22 design study completed by Bo Lundberg. 11/09/1940 -- Fiat CR.42 third order for 60. 02/__/1941 -- FFVS J 22 funding authorized. 03/21/1941 -- FFVS J 22 ordered for production (order for 60). 04/13/1941 -- Soviet Union and Japan sign neutrality agreement. 04/__/1941 -- Saab 21 project (L-12) presented to Air Force. 06/06/1941 -- De Havilland DH.99 project (what would become Vampire) proposed in United Kingdom. 06/22/1941 -- Germany breaks non-aggression pact with Soviet Union. 07/08/1941 -- Saab 21 mockup approved. 08/05/1941 -- De Havilland DH.99 design ordered in United Kingdom. 10/__/1941 -- Saab 21 development halted due to doubts. 11/__/1941 -- Saab 21 development resumed. 11/11/1941 -- De Havilland DH.99 design redesignated DH.100 in United Kingdom. 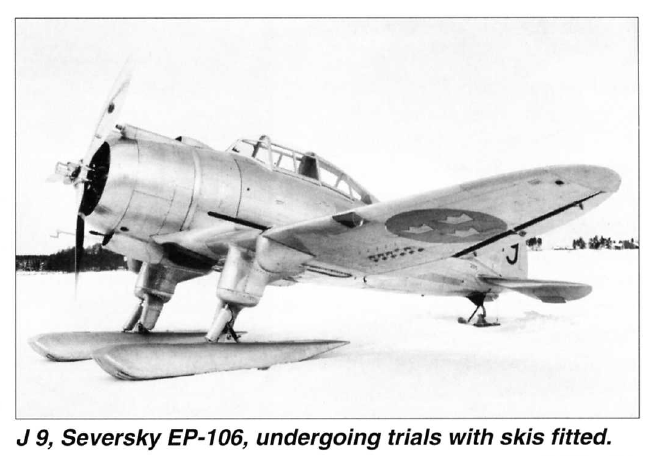 12/01/1941 -- Saab 17 first production aircraft flown. 12/07/1941 -- Japan attacks Pearl Harbor; U.S. enters World War II. 03/__/1942 -- Saab 17 (B 17B version) initial deliveries (9 months late). 04/11/1942 -- De Havilland DH.100 first prototype ordered at Hatfield in United Kingdom. 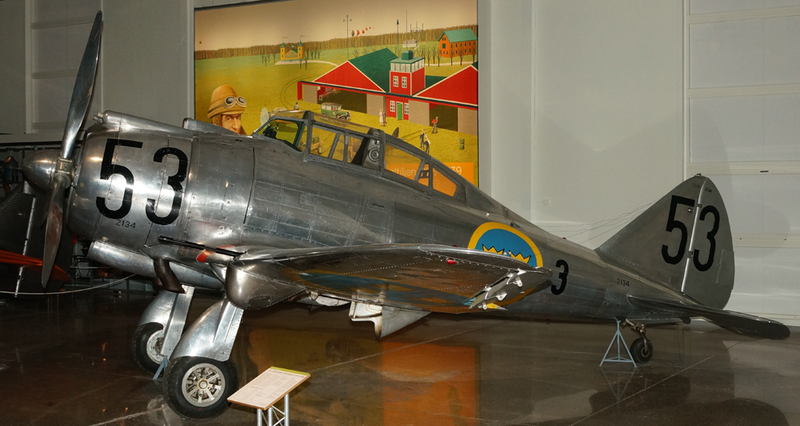 06/19/1942 -- Saab 18 prototype first flight. 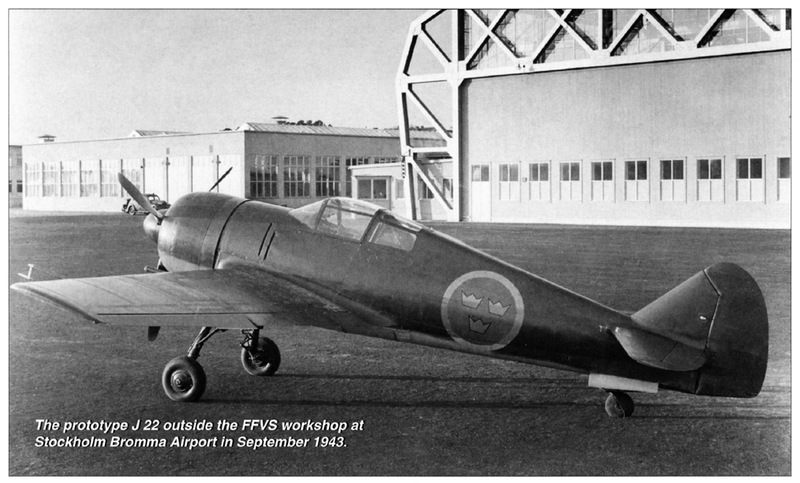 07/01/1942 -- FFVS J 22 production facility at Stockholm's Bromma Airport leased using government unemployment funds; lease to end 07/01/1945. 09/01/1942 -- FFVS J 22 prototype complete. 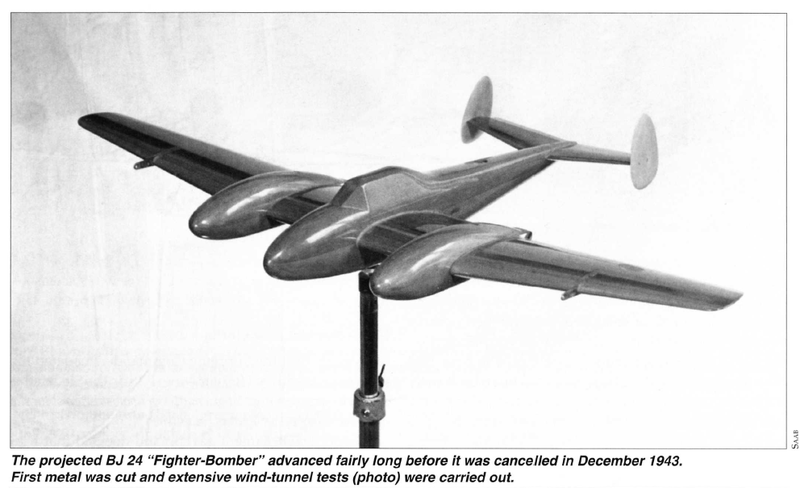 09/20/1942 -- FFVS J 22 prototype first flight. 07/30/1943 -- Saab 21 prototype first flight. 08/__/1943 -- FFVS J 22 first production aircraft. 09/26/1943 -- De Havilland DH.100 prototype first flight at Hatfield in United Kingdom. 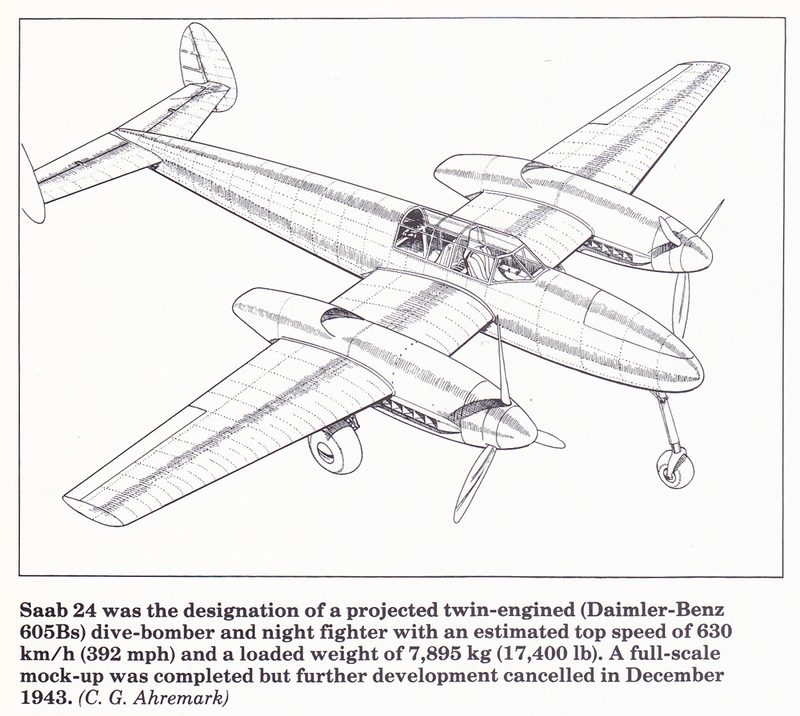 12/__/1943 -- Saab 24 suspended; Saab 18 to be re-engined instead. 02/__/1944 -- Saab 21 testing. 03/__/1944 -- Saab 18 production deliveries commence -- confirm -- 1943 would make sense, 1944 does not. 05/13/1944 -- De Havilland DH.100 production ordered (120 to be built by English Electric Co. Ltd.) in United Kingdom. 06/06/1944 -- Allied invasion of Normandy; D-Day. 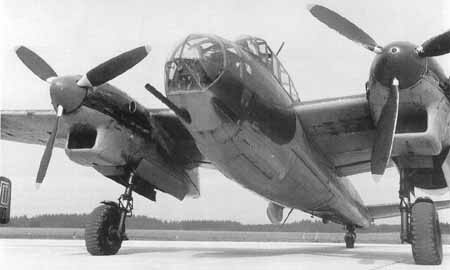 06/10/1944 -- Saab 18 (B 18B version) powered by DB 605B first flight. 10/__/1944 -- Saab 17 last of 325 total production delivered. 10/24/1944 -- FFVS J 22 receives first SFA-built Twin Wasp. 04/05/1945 -- Soviet Union nullifies neutrality agreement with Japan. 05/__/1945 -- FFVS J 22 total 180 delivered by this time. 05/07/1945 -- Germany surrenders; V-E Day. 07/01/1945 -- FFVS J 22 production facility lease ends. 08/15/1945 -- Japan surrenders; V-J Day. 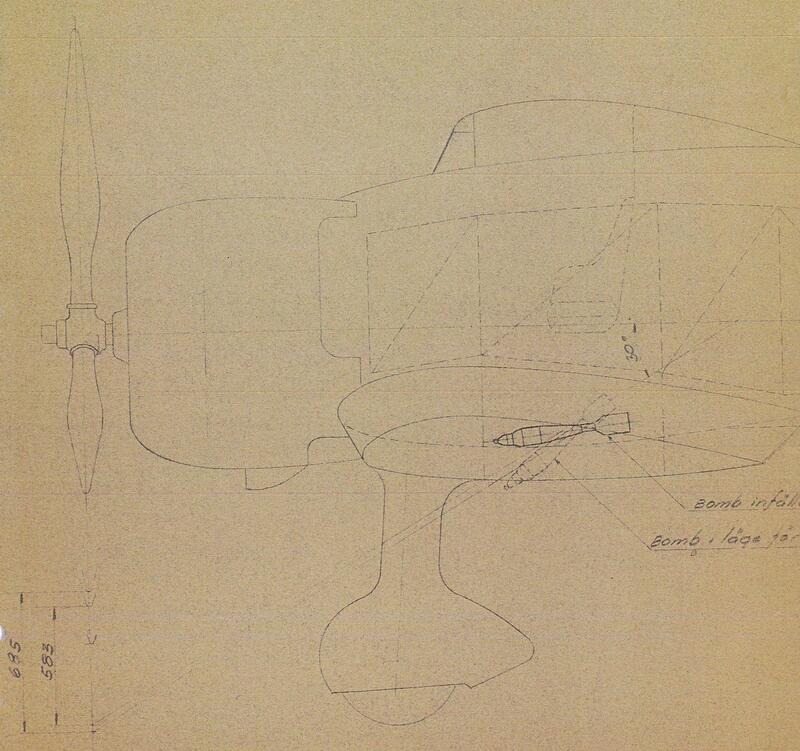 10/__/1945 -- Saab 29 concepts begin with Goblin engine. 11/__/1945 -- Saab 29 projects benefits from German swept-wing research. 12/__/1945 -- Saab 29 engine to be Ghost engine. 12/__/1945 -- Saab 21 a few examples delivered. 02/__/1946 -- Saab 29 solidifies; now known as Project R 1001. 03/10/1947 -- Saab 21R prototype first flight. 08/__/1948 -- Saab 29 taxiing trials. 09/01/1948 -- Saab 29 prototype first flight. 12/20/1948 -- Saab 32 concepts ordered to proceed as Project 1150; Project 1119 canceled. 02/__/1949 -- Saab 21R production aircraft delivery starts. 02/29/1949 -- Saab 29 second prototype first flight. 08/18/1949 -- Saab 29 third prototype first flight; to test armament configurations. 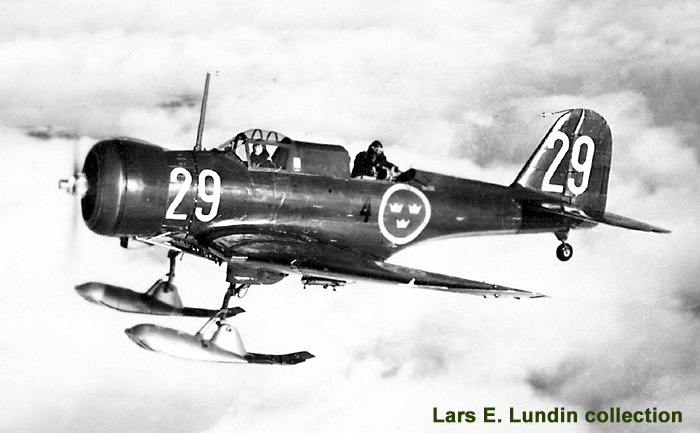 03/__/1950 -- Saab 32 swept-wing design begins testing on Saab Safir trainer. 07/21/1950 -- Saab 29 fourth prototype (production) first flight. 09/__/1950 -- Saab 32 first parts manufactured. 05/__/1951 -- Saab 29 deliveries begin. 01/21/1952 -- Saab 35 double-delta concept explored via 70% scale Saab 210 first flight. 07/__/1952 -- Saab 32 planned engine development STAL Dovern ready for flight testing. 10/__/1952 -- Saab 35 first tooling drawings released. 11/__/1952 -- Saab 32 planned engine development STAL Dovern and Glan abandoned in favor of licensed production of Rolls-Royce Avon. 11/03/1952 -- Saab 32 prototype first flight with Rolls-Royce Avon. 12/03/1953 -- Saab 29 (J 29E version) tested with modified outer wing. 03/__/1954 -- Saab 29 (J 29D version) tested with afterburner. 03/20/1954 -- Saab 29 (J 29F version) first flight with combined afterburner and modified outer wing. 10/25/1955 -- Saab 35 prototype first flight powered by imported Rolls-Royce RB-146 Avon turbojet. 01/26/1956 -- Saab 35 first supersonic flight, without afterburner. 03/__/1956 -- Saab 35 first supersonic flight while climbing. 01/07/1957 -- Saab 32 (J 32 B version) all-weather interceptor first flight. 03/26/1957 -- Saab 32 (S 32C version) reconnaissance first flight. 02/15/1958 -- Saab 35 pre-production first flight. 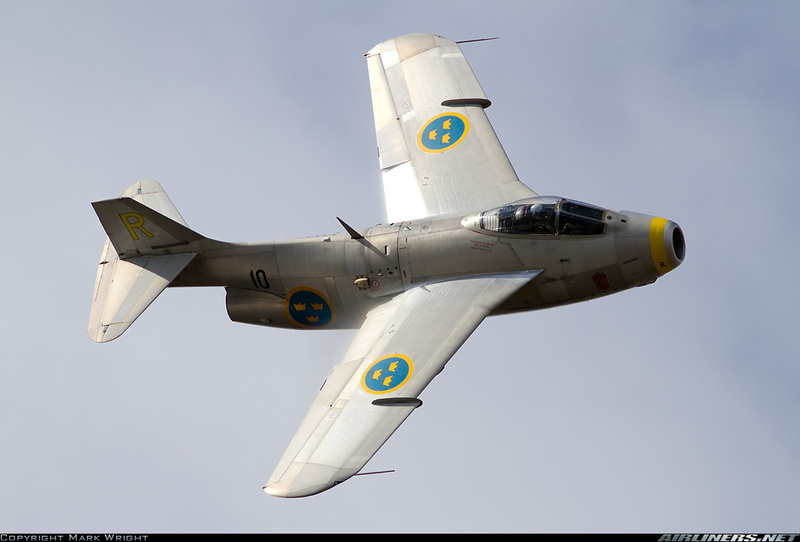 07/__/1958 -- Saab 32 (J 32 B version) delivery beings. 05/__/1960 -- Saab 32 (J 32 B version) delivery ends. Saab 29 late variant with modified wing and/or afterburner. 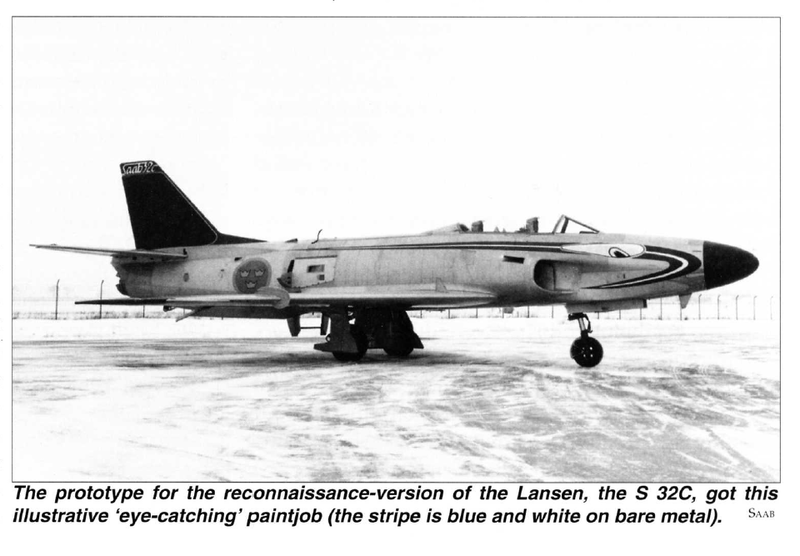 A subsonic pre-Lansen or pre-Draken project. 02/1958 -- "The first flight of the first aircraft in the initial pre-production Draken batch, by now referred to as the J35A-series, took place on [02/15/1958] at Linkoping, with company pilot Karl-Erik Fernberg at the controls, utilizing the fourth Draken off the line, 35001. Edited by J311yfish, 04 July 2015 - 03:36 PM. -- as early as 06/1935, Blomberg involved with visits to de Havilland at Hatsfield while accompanying the Director of Technical Development for the Swedish Air Force (Flight 06/13/1935, 651); this may explain in part the decision to produce de Havilland jet engines under license rather than to bring native jet engine development to production. 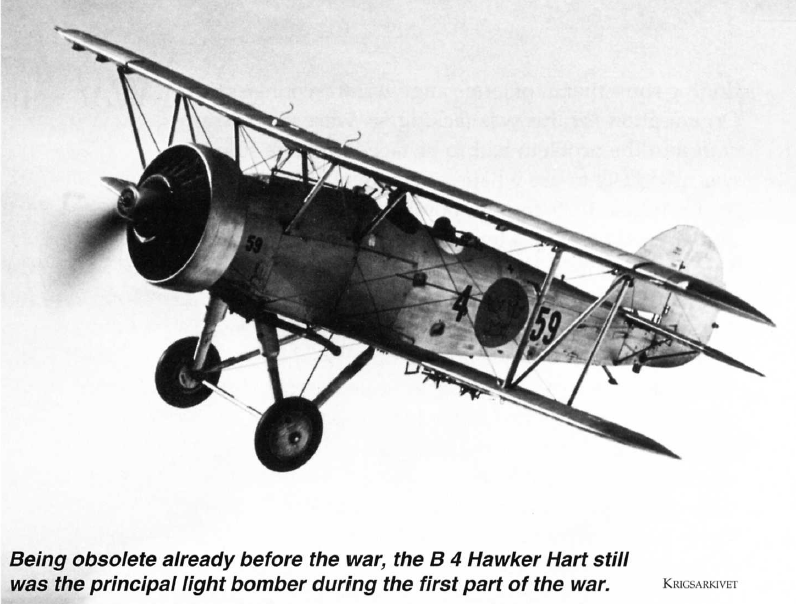 -- Hawker Hart -- whereas the original British design mounted the gun on the port side. -- Saab B 18 -- ? Edited by J311yfish, 05 July 2015 - 01:07 PM. Karlskrona Navy Flying Station at naval base. Gothenburg Navy Flying Station at naval base = Götaverken -- briefly involved in aircraft manufacture. Stockholm Navy Flying Station at naval base. STAL Dovern -- see Saab 32 notes. -- "The Swedish Air Force was one of the pioneers of dive-bombing, starting in 1934 using the Hawker Hart (B 4) and later the Northrop 8A-1 (B 5). The Air Force was also well aware of the limitations of dive-bombing, especially the bomber's vulnerability against anti-aircraft fire and fighters. 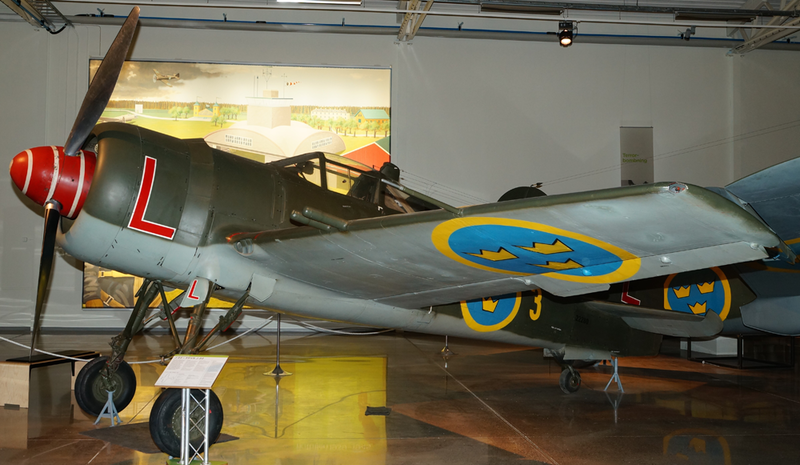 Saab took a great interest in the problem and in the early 1940s two engineers, Erik Wilkenson and Torsten Faxén, solved the problem, which eventually resulted in the efficiency of the Swedish bomber/attack aircraft. 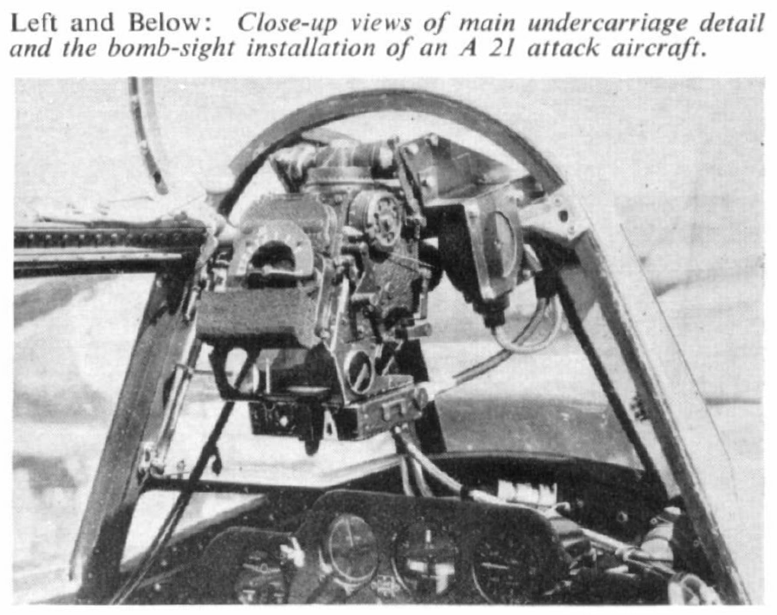 In contrast to the steep - up to 90 degrees - dives used by the German Stukas, the new bombsight allowed shallow dive angles (20-30 degrees) and with automatic bomber separation during the pull-out. 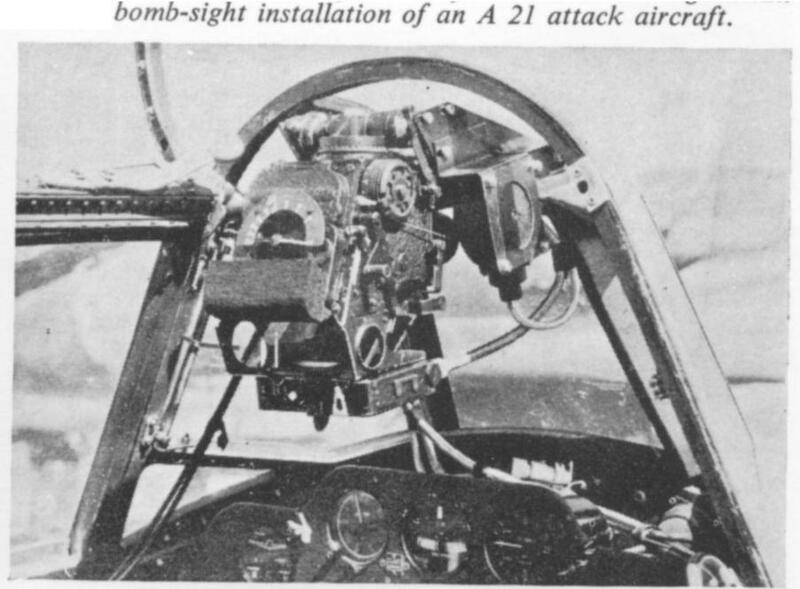 The bombsight, which was developed under strict secrecy, was a mechanical computer - one of the first of its kind in the world - using target-data input from the sighting phase. The sighting system permitted moderate altitudes to be used before the final diving phase thereby considerably reducing the time of exposure to anti-aircraft fire and fighter defence. Edited by J311yfish, 05 July 2015 - 12:42 PM. 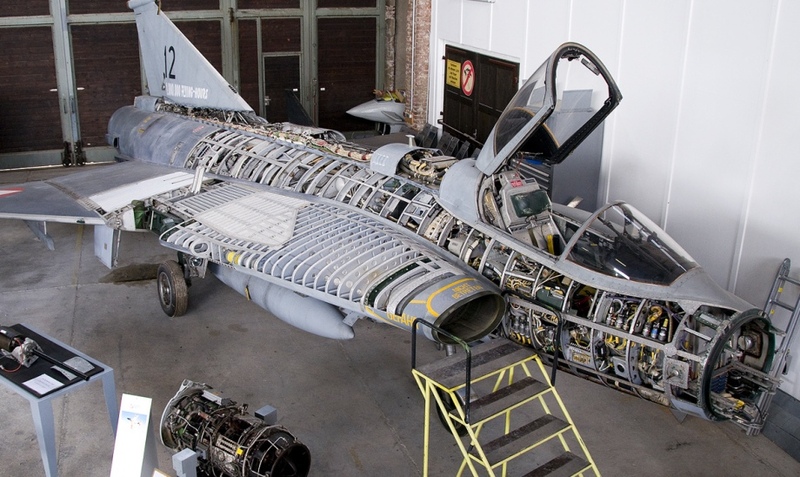 -- such as imported aircraft that are disconnected from Saab's production of multirole aircraft, and emergency acquisitions to compensate for low production. Tiers approximated. *manufacturing license included; order cut short due to embargo by United States. Seversky 2Pa in-game specs for U.S.A.
-- Seversky 2-PA also acquired by Japan; designated A8V. 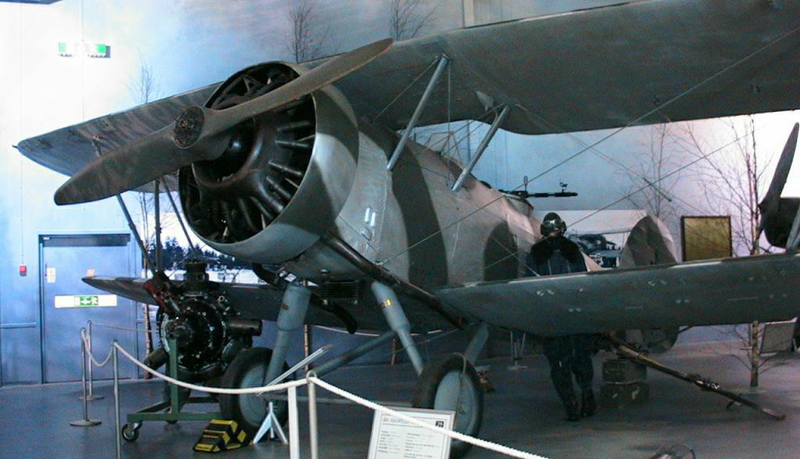 -- considered to be superior to Gloster Gladiator; acquired from Italy; development details here. -- double-delta research aircraft at 70% scale; proof of concept for Saab 35 Draken. Edited by J311yfish, 10 October 2016 - 03:50 PM. Content Removed. Non World of Tanks related solicitation (includes Avatars and Signatures). Mentioning and discussing other games. I appreciate your sharing a tree, but from a technological development standpoint it doesn't make sense. Edited by J311yfish, 22 September 2014 - 05:19 PM. I am currently working on a 3d model for the saab j21a for the other free flight game([Content Removed. Mentioning and discussing other games.]). If you have any technical documents or designs/drawings of the j21a, I would appreciate if you posted them. I am currently working on a 3d model for the saab j21a for the other free flight game(arWe underThe). If you have any technical documents or designs/drawings of the j21a, I would appreciate if you posted them. If you are prepared to compensate me with Wargaming gold this conversation might go further. 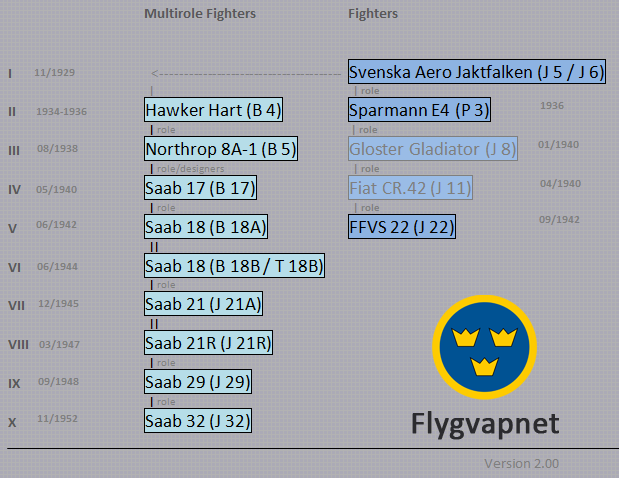 I'd pay good money for this to be a reality--the uniqueness alone of having a roster for Swedish aircraft is a great draw. 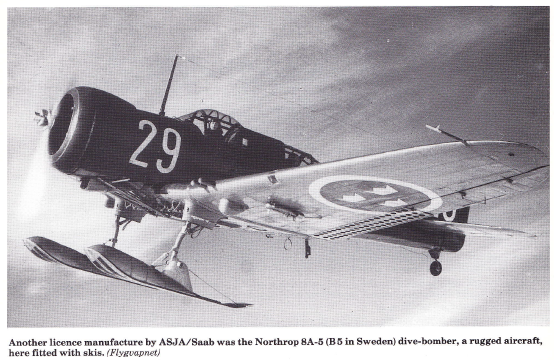 Plus, I have a..."thing" for pusher-driven planes, so the Saab 21 is a warbird I'd LOVE to have in the game. Hope this project is still alive!